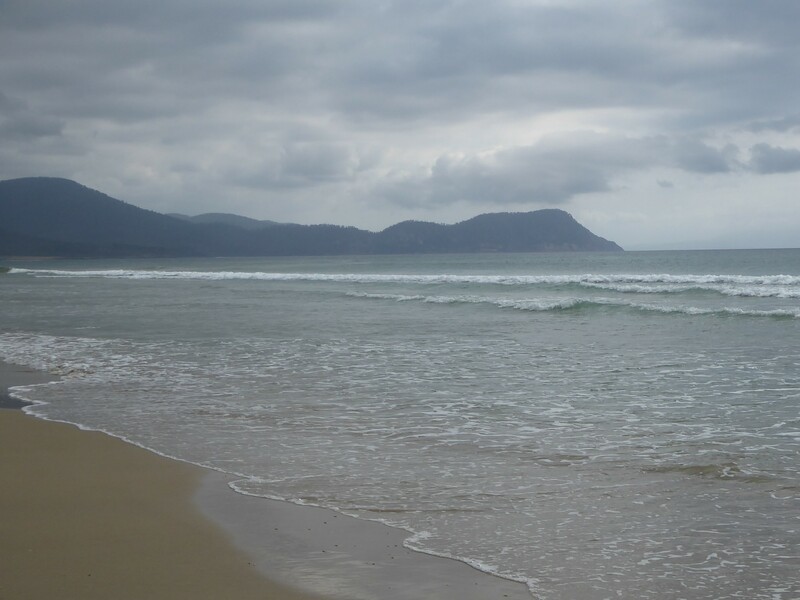 Having bid farewell to Santa and recovered from the festimus feast that comes with Christmas gatherings, bags and camping gear were promptly packed for a trip across Bass Strait. The destination? 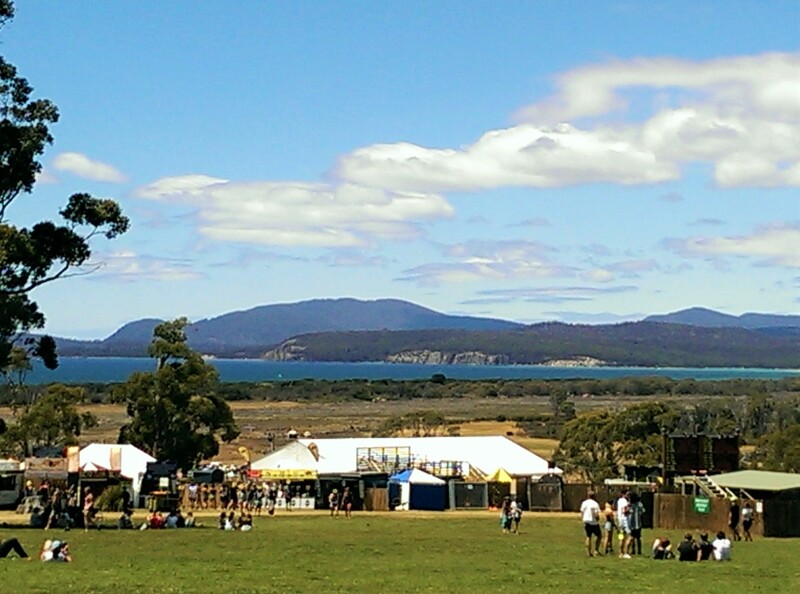 Marion Bay, Tasmania for Falls Festival. 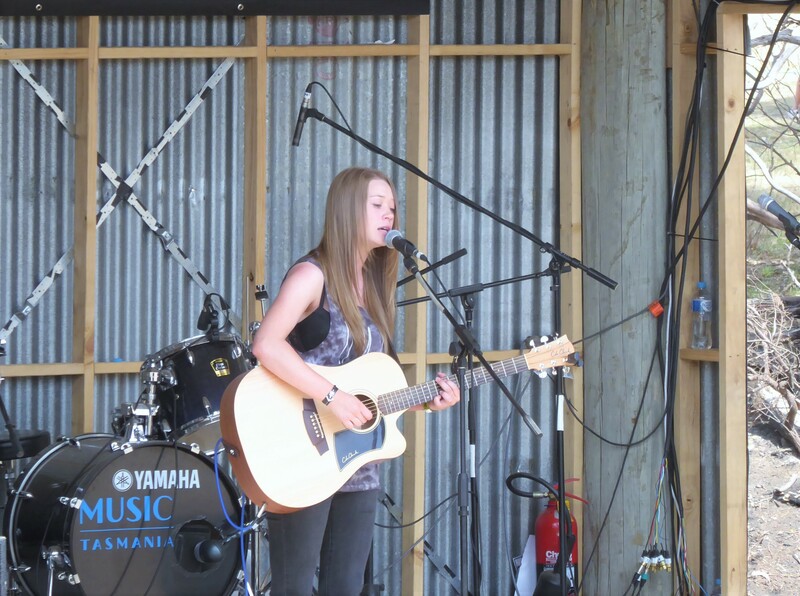 Jensen offered up a first taste of sounds at Falls, complete with an enthused crowd ready to enjoy sun and tunes. 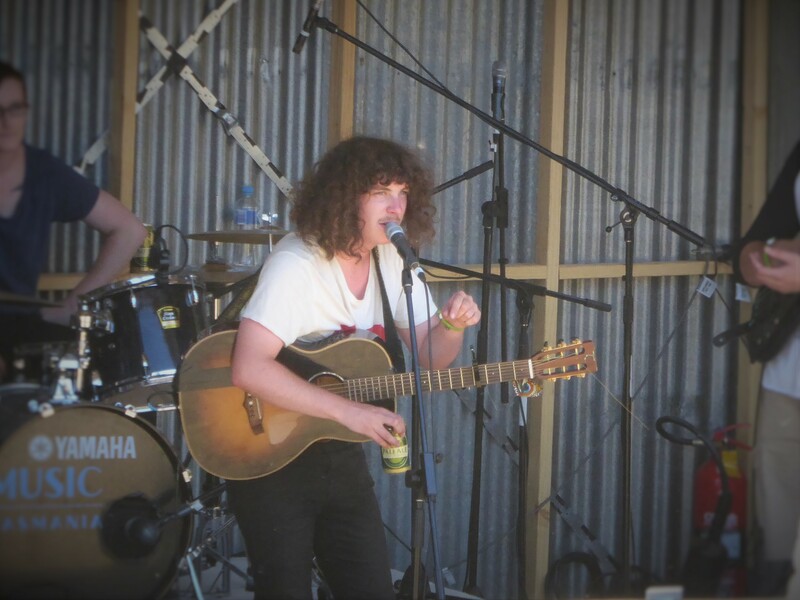 The self-professed Indie Folky/Rocky foursome provided a stellar intro to the debut of the Homebrewed stage from Music TasmaniaFle that was crammed full of local Tassie talent throughout the festival and visited by yours truly on many occasions. But what’s a festival without a little character? 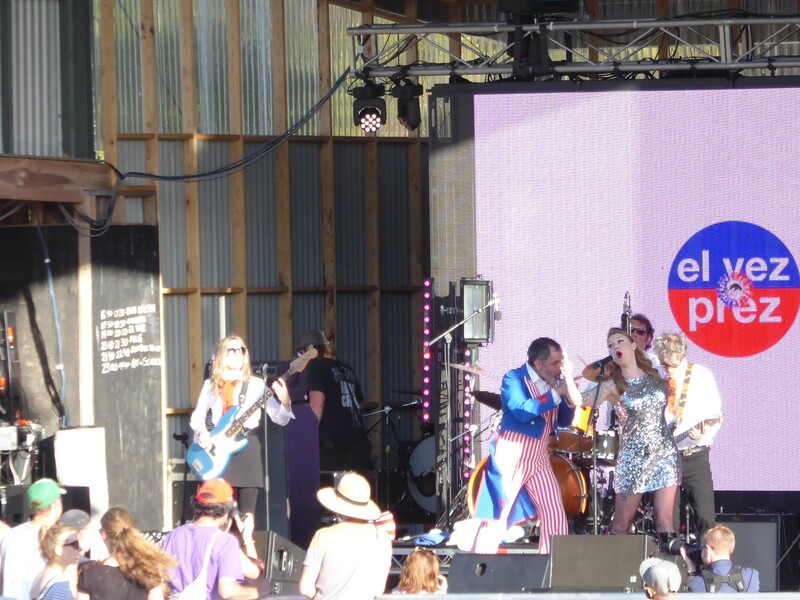 Insert El Vez – that’s the Mexican Elvis sharing his presidential election campaign, shenanigans and twisted covers from the King himself… intertwined with shedding layers of clothing during the course of the set. Not too sure how far that went, the safety of the Homebrewed stage called again. As night settled in, it was time to join the larger crowds for Fleetmac Wood (no, not partying hard enough to mix up those letters just yet) ready for some sweet takes of classic Fleetwood Mac tunes. Stevie and Christie’s vocals paired up with beats pumping through was a fitting way to get the evening’s festivities underway. Another pass by the Homebrewed stage meant arriving just in time to catch another little party, this one on stage with the rockers from A. Swayze and the Ghosts, with this friendly bunch even inviting some of the crowd on stage while blasting out their last tune… but bigger parties beckoned, complete with neon lights ablaze with Art vs Science. A special kudos for the ode to stars and shout out to the starry night sky…a crowd pleaser and a delightfully bright sight to fuel the festivities. But the night wasn’t quite over, as Soupy Mess worked with a seemingly endless supply of sound grabs to work their magic…we’re talking everything from dial up connection sounds, the Rugrats theme and a bit of Bowie (the never-ending stalking of Let’s Dance continues to invade my ears…) to bid us all a good night. Another day with the sun doing a damn fine job of showing off Marion Bay in all its glory, the music being the only thing to distract from the picturesque views on hand. 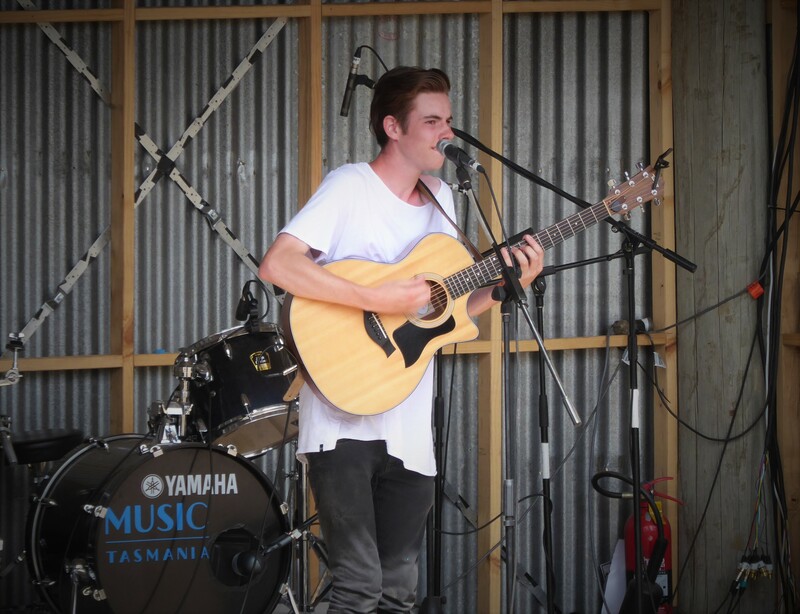 But it was a slow and easy start to the day with Samuel Marshall providing some tunes to accompany a few breakfasts and necessary coffees. Customarily with band (Orin, Gnarwhale) this was an acoustic solo set, but band tunes weren’t forgotten in the mix. Then another one-man act took the stage by the name of Pat Broxton to share some sad and dejected tales in song, with the youngish crowd seeming to relate to the pains of youth. Turns out he also comes with a band called The Sleepyheads. 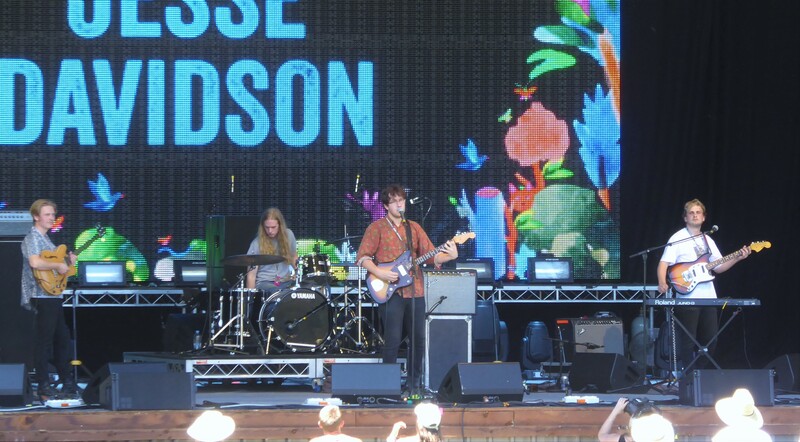 Jesse Davidson kicked off proceedings on the big stage, having travelled over from Adelaide with indie pop on the menu. Not quite dance worthy, but a mellow listen accompanied with band and laidback vibes, not to mention to synth laden melodrama. 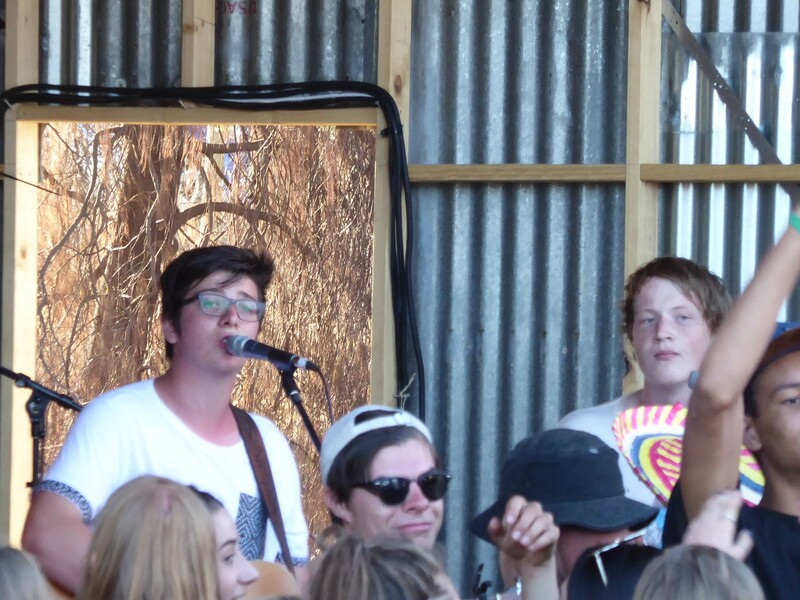 Sounds from the Homebrewed Stage were in keeping with the mellowness of the morning from local Folk act Paper Souls. Having started as a husband and wife duo, their presence on stage has grown to a fully-fledged band, growing from acoustic folk to a moodier soft alt rock outfit, laced with cello. 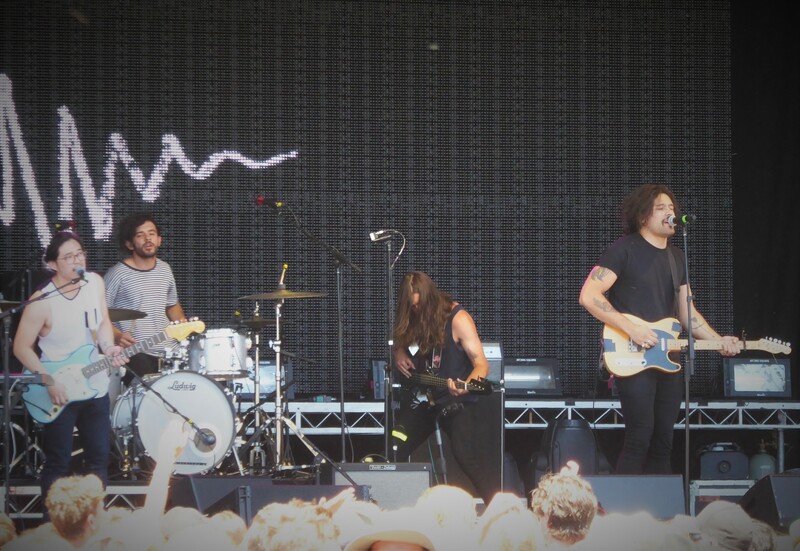 Without fail Gang of Youths brought along presence and rock vibes to impress as always. No hesitation from the crowd in bringing their own moves, building to a massive party during Magnolia, and complete with a stage dive from frontman Dave Le’aupepe. The irony of such joy coming from despondent tunes never ceases to amaze. 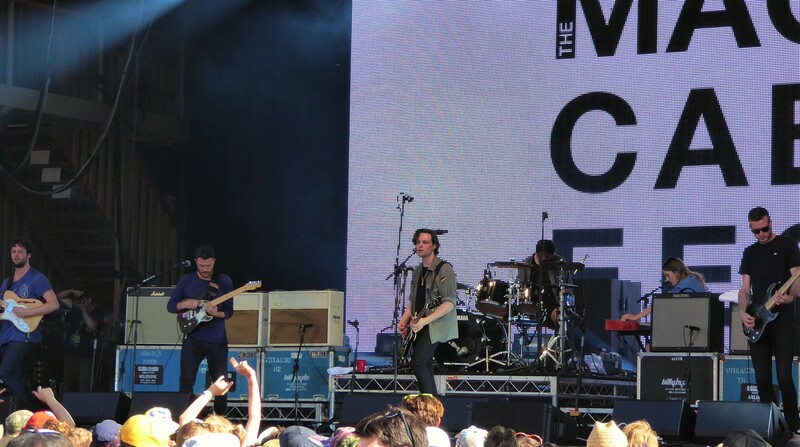 On smaller proportions, Jed Appleton cranked out a few numbers with a few friends in tow to an attentive crowd, while there didn’t seem to be any end to the influx of people travelling down to the Valley stage for Meg Mac. 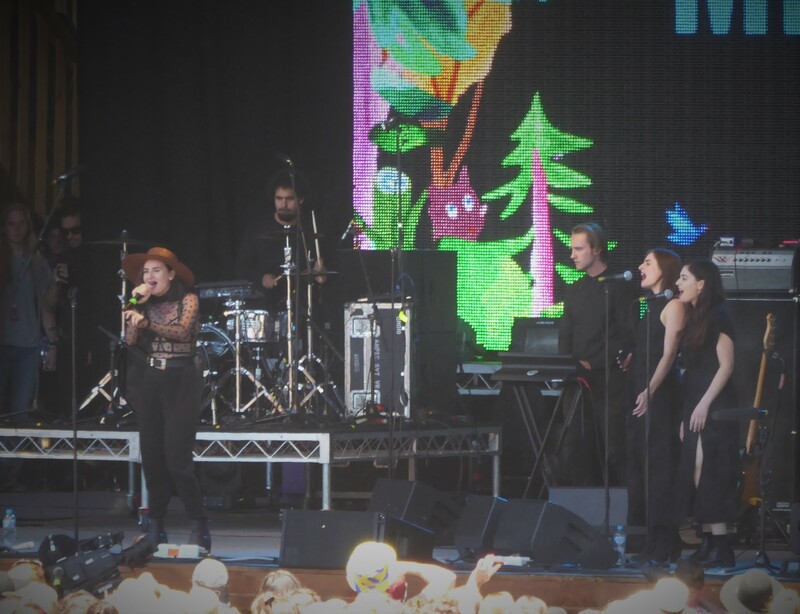 Turns out that there were a few more familiar tunes than expected, but those massive vocals were a fine feat on stage. 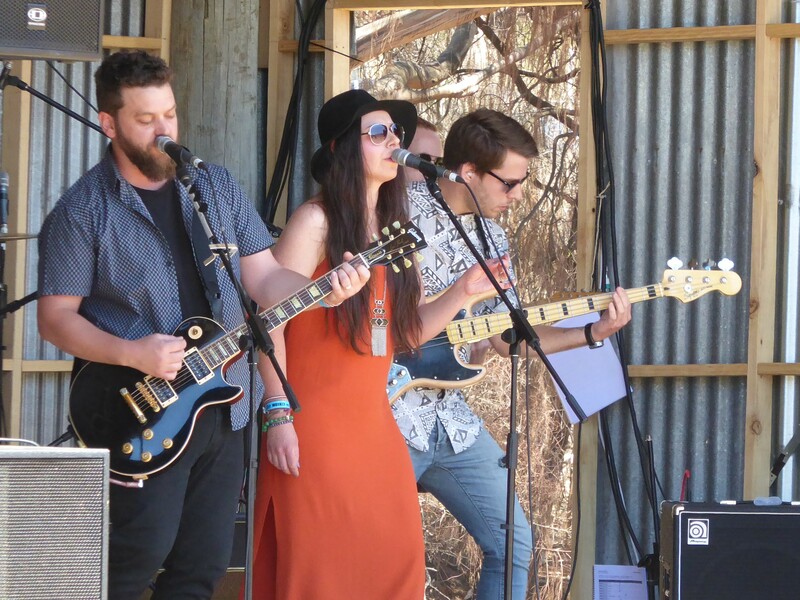 The Ange Boxall Band brought the twang with a few Americana fused tunes amidst a small dust storm brewing on the path nearby as foot traffic stampede to the other side of the festival for BØRNS commenced. 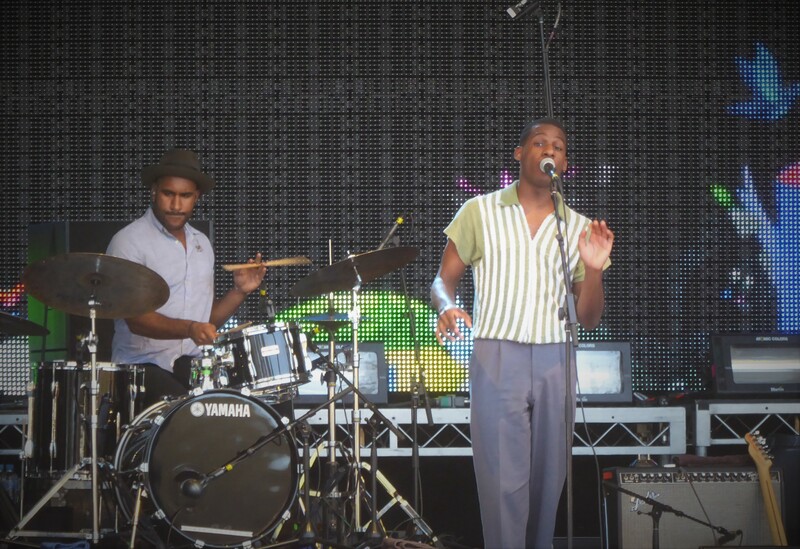 But attention was focused elsewhere, with Leon Bridges bringing smooth, silky vocals and a nostalgic flashback to classic soul, gospel and the days of rhythm and blues, complete with vintage apparel and moves. It was all class and style here for a super smooth faultless set. No wonder tickets for this guy’s side shows around festival dates were snapped up in no time. 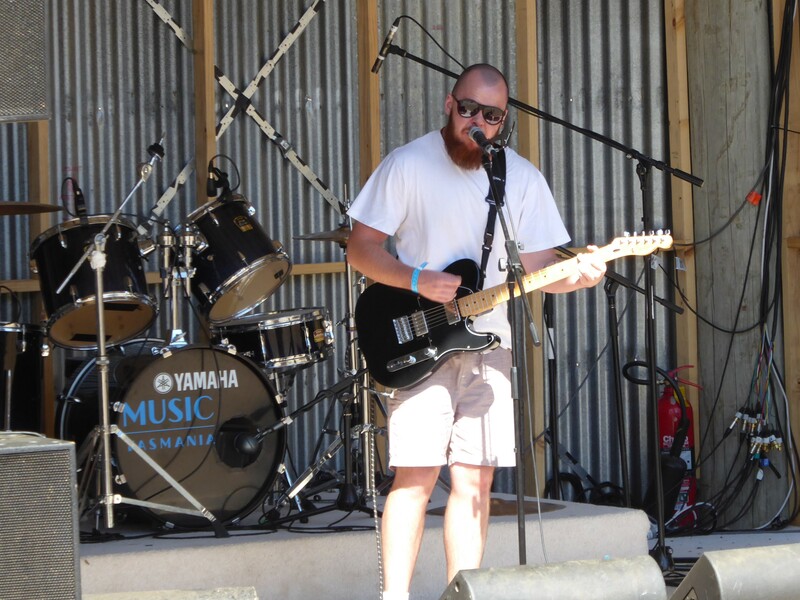 Back to Homebrewed, the indie roots sounds from Zac Slater were practically made for the sun filled day being had, a mix of earthy tones with enough funk, reggae and fun to entertain the people. 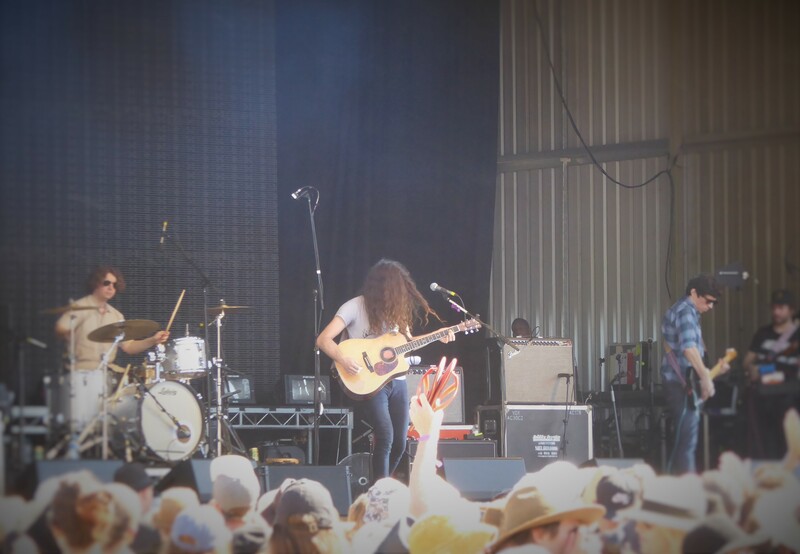 But a crowd was building elsewhere, so it was time to be a sheep and follow the people to discover the sounds of Kurt Vile and the Violators. 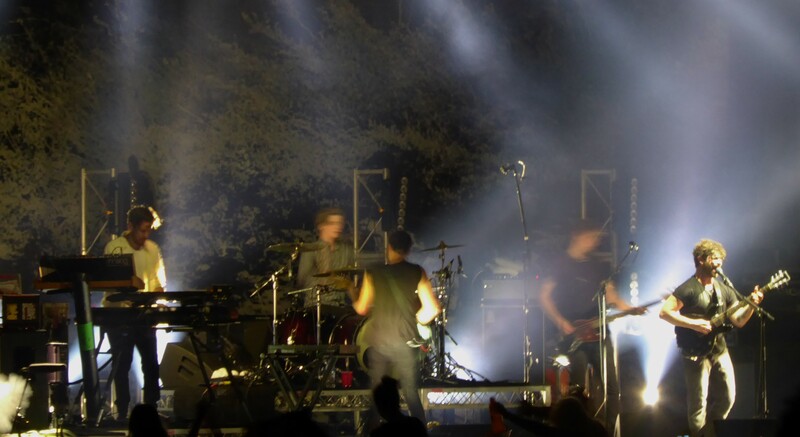 Not something I’d heard much beforehand, but the live set definitely inspired further investigation post-festival. 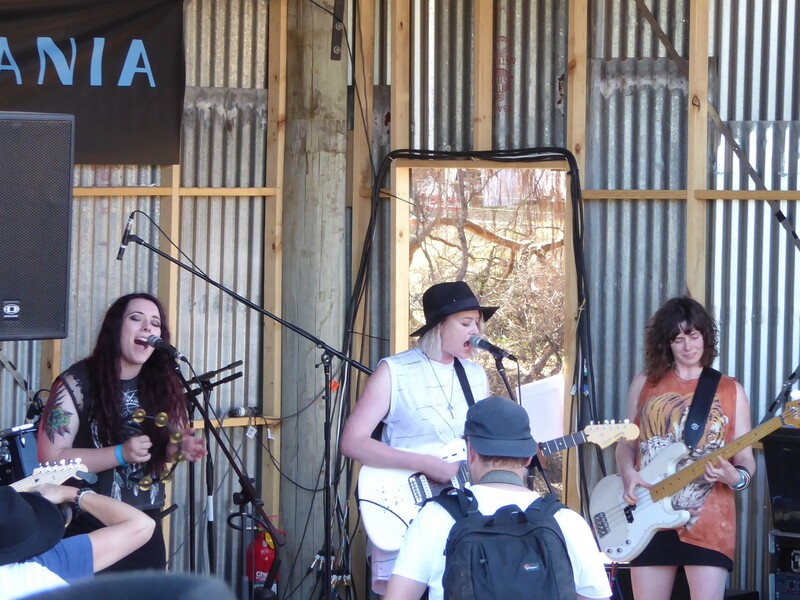 There had to be time for rock (there is always time for more rock) and Bansheeland proved that chicks can rock, bringing some welcomed garage and grunge influences. 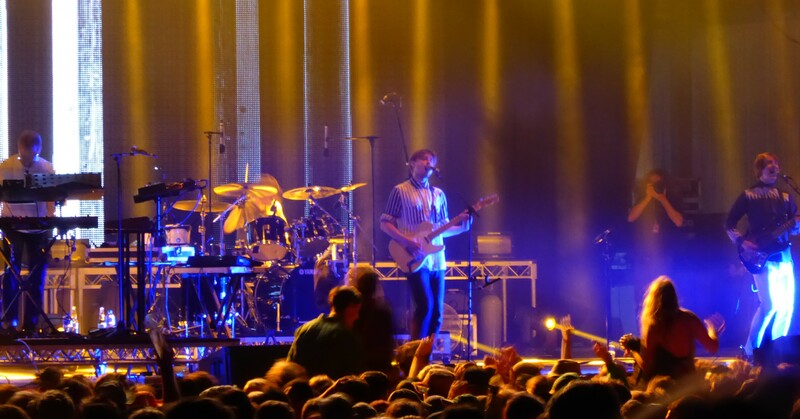 Having seen The Maccabees a few years ago at Groovin The Moo, the band’s inclusion on the line up was a welcomed appearance with new material in tow to entertain the people. Big stage, big sounds. 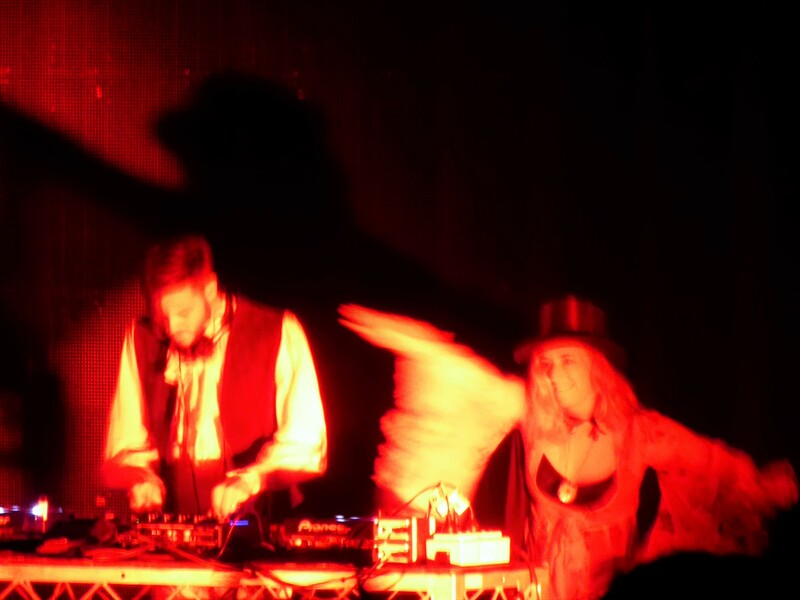 Night fell, and the music came with bright lights and pizzazz on stage. 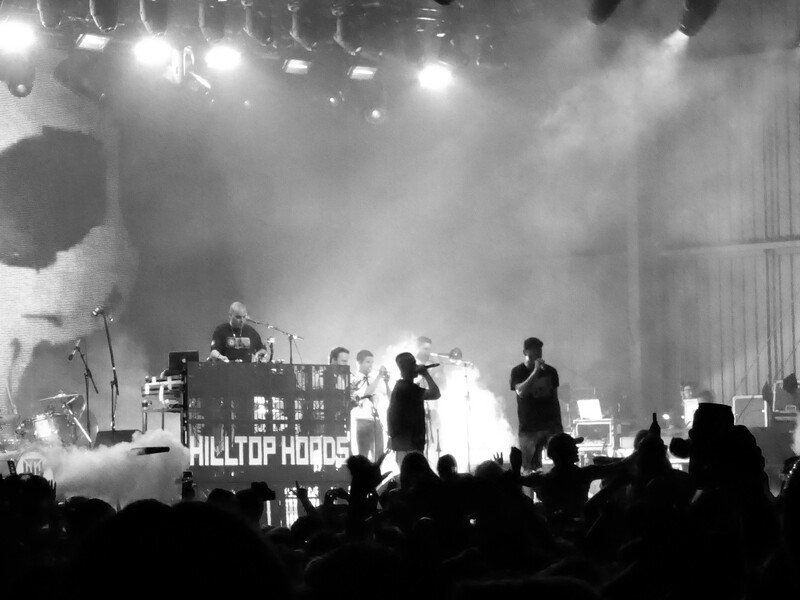 Hilltop Hoods came with a mighty presence, doing a damn fine job of getting the people ready for a night of partying. Django Django was the drawcard on the night, but a late appearance meant that there was also a chance to get a glimpse of Foals on stage as well. Another sunrise, another day – and more coffee and breakfasts kicked off the third and final festival day. 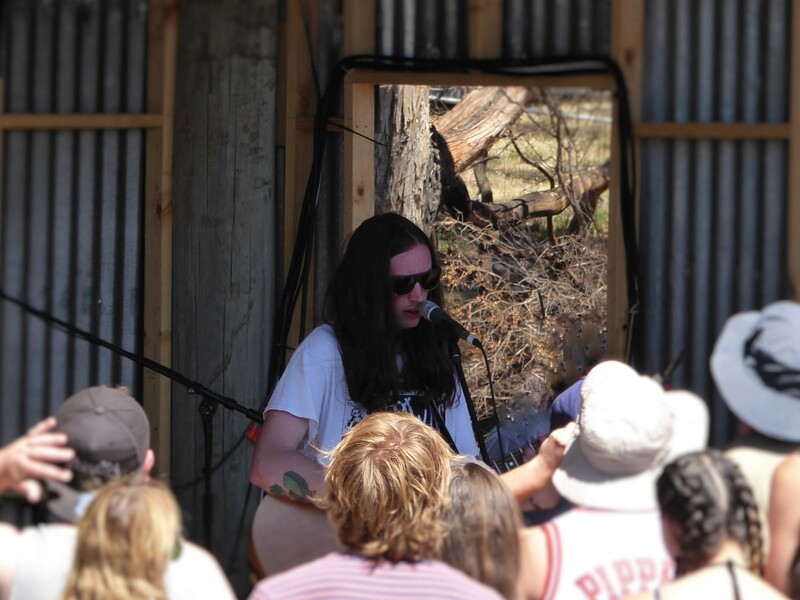 Not wanting to break the mould so early in the day, the Homebrewed stage offered the day’s earliest access to some live tunes from the bright, fresh faces of Nick Machin and Kelsie Hibberd. 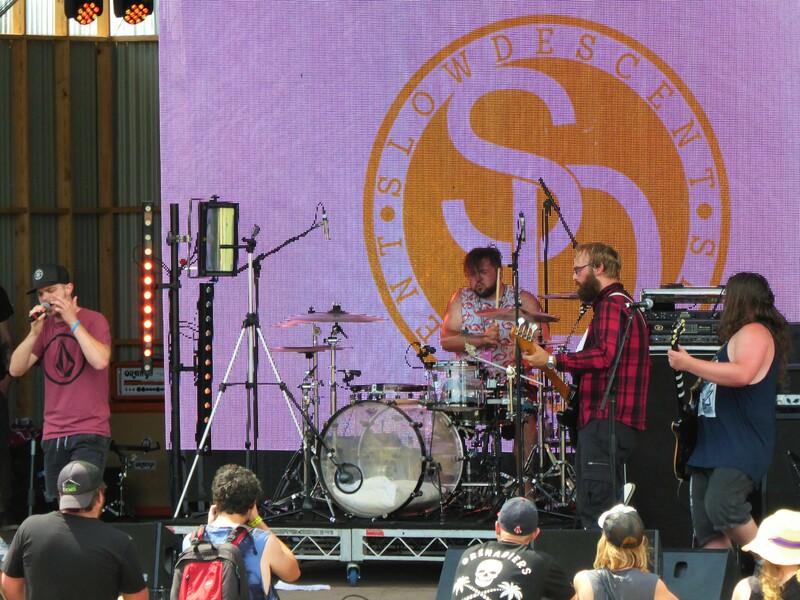 Despite the fight against fatigue, the walk to the other side of the festival was well worth it upon discovering a little outfit called Slow Descent. 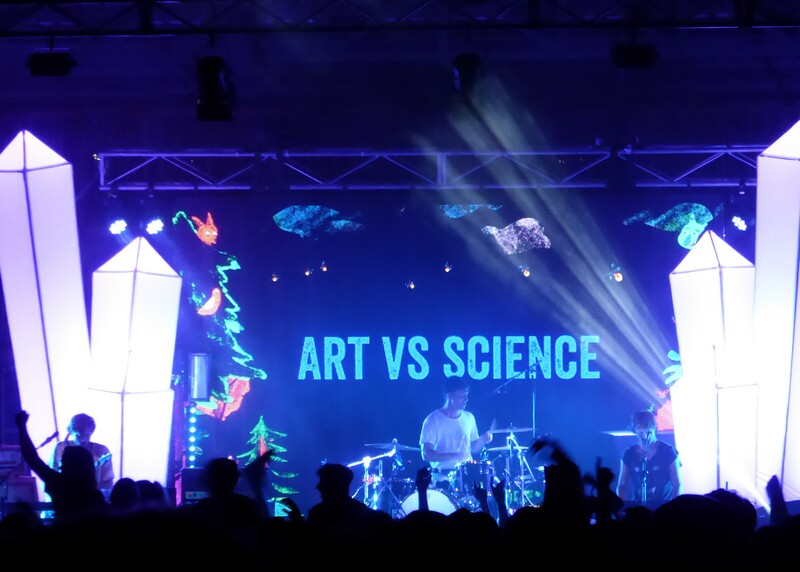 It wasn’t too early for fans draped in Slow Descent t-shirts to be in attendance, and with the volume turned up the band’s pop punk ways blasted into eardrums of all present. 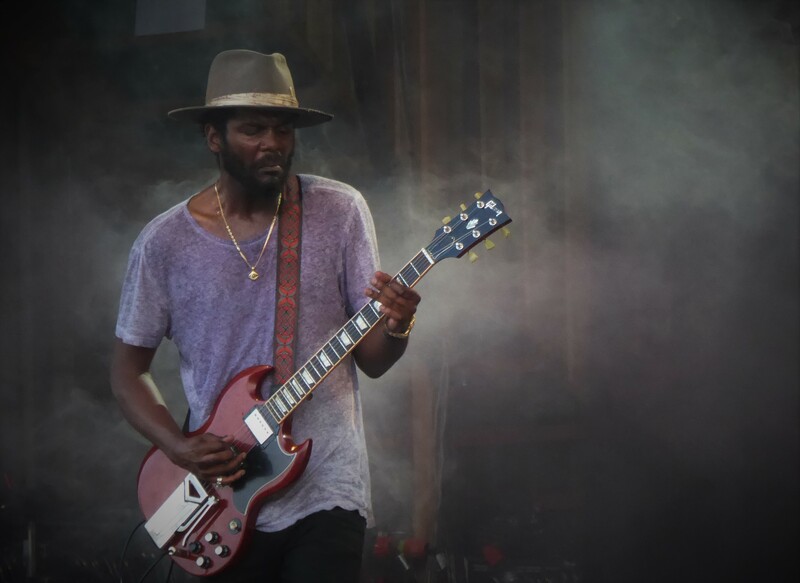 Later, the deadpan ways of Courtney Barnett brought the people in droves, and with the beaming sun rays shining down, the wait for Gary Clark Jr ensued. After countless missed opportunities, it was time to see a full live set. Having expected something great, what was delivered was nothing short of impressive and super cool. 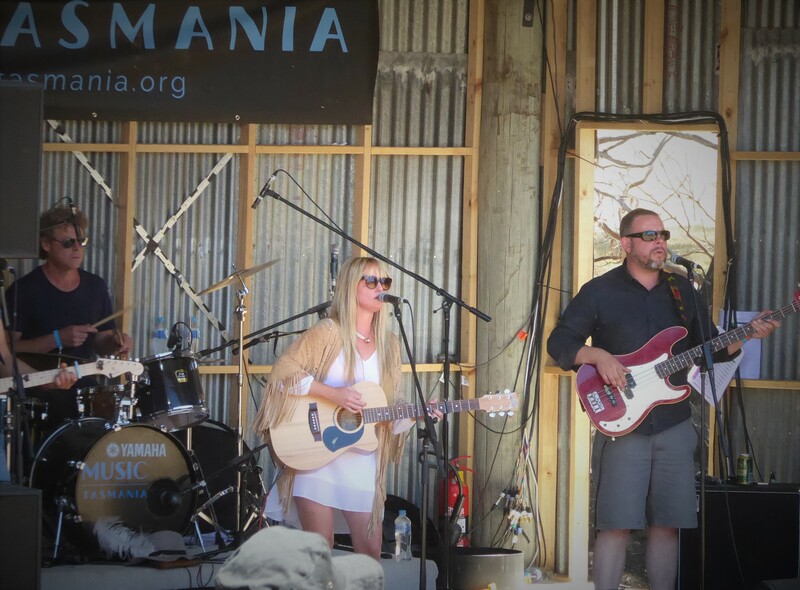 The unexpected came by way of an incredible band on stage, unbelievably talented in their own right. 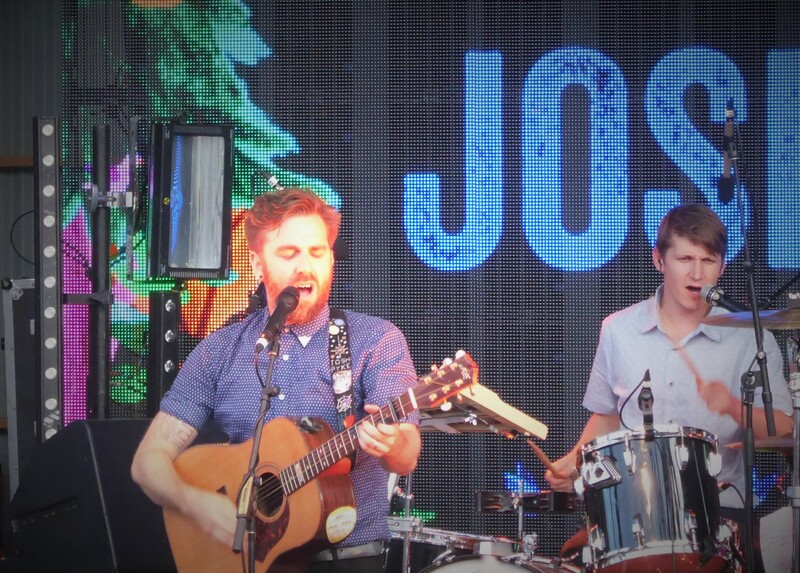 Another trek around the festival grounds was in order to find Josh Pyke on stage, in time to catch a few tunes of new and old. As always, impeccable vocals and intricate guitar made this an absolute delight, but Paul Kelly and the Merri Soul Sessions beckoned. With a mix of what seemed to be keen fans and a bunch of other revellers brimming with excitement for the New Year’s Eve celebrations on approach, this lot lapped up everything that Paul and his Merri men and ladies had in store, including a few classics that turned into big old singalongs. A definite highlight from the festival. 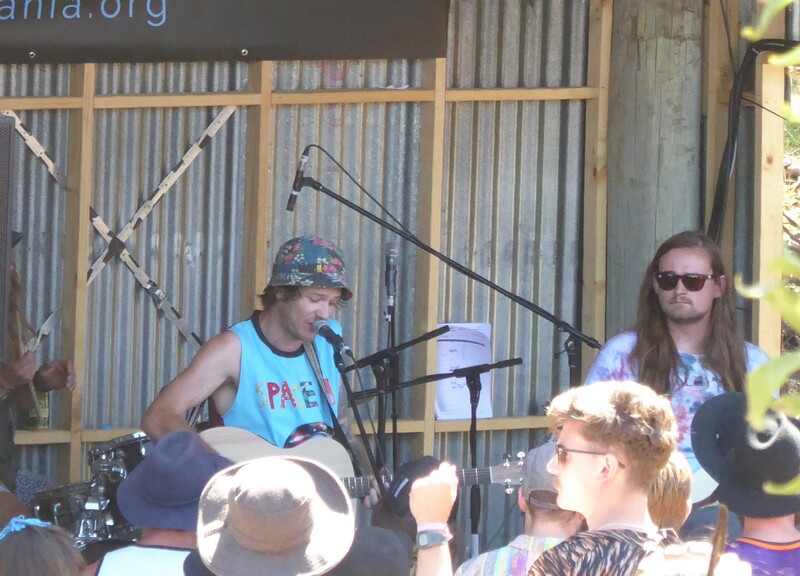 King Gizzard & The Lizard Wizard had always sounded ok but on a festival line up it was time to see what this outfit had to offer from the stage. In short, one of the best decisions made from the line up – psych rock goodness, indulgent tunes, and lights bringing a stage spectacular. Make no mistake, these guys rock and leave everyone just a little bit gobsmacked, just the way it should be. 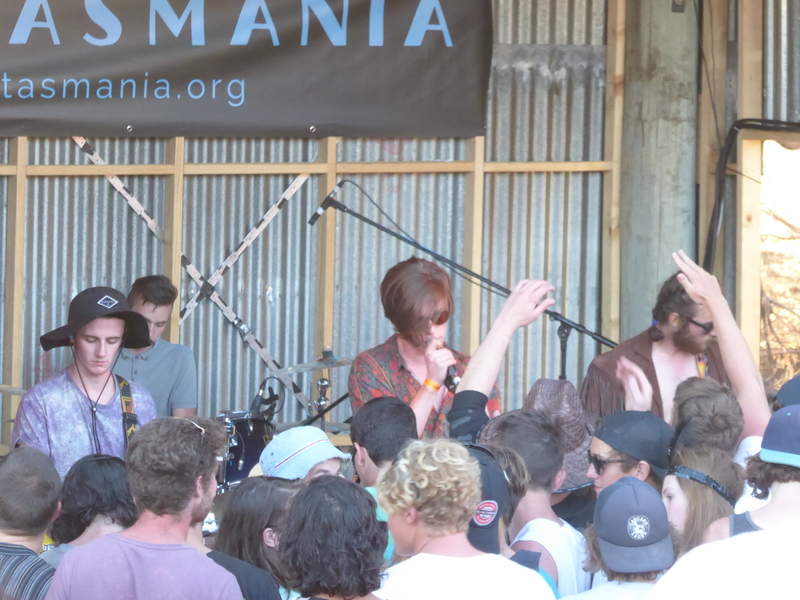 At Marion Bay, Bloc Party had the special honour of bringing in the New Year. So with the new line up and vivid memories of a staggering live show at Future Festival many years ago, it was time to see what the band had to offer. 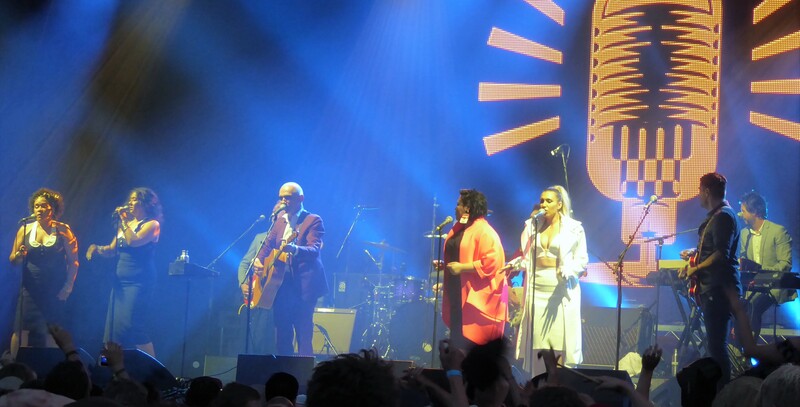 Of course, there were a few random rumblings from the crowd demanding the ‘old stuff’ but the new stuff was worthy of some attention amongst those all-important familiar tunes to please the people. 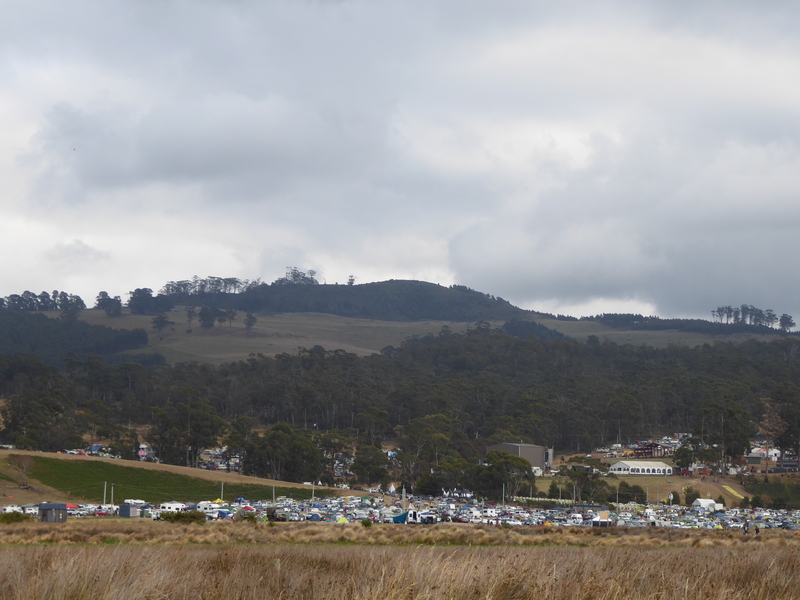 The countdown came and went in an uneventful sweep, taking in a few last tunes before the sounds of Disclosure and Bag Raiders filtered through to the campgrounds. With incredible views, beach access and music to boot, Marion Bay is definitely outdoing itself as being worth the added travel…and in serious contention for another visit in 2016. 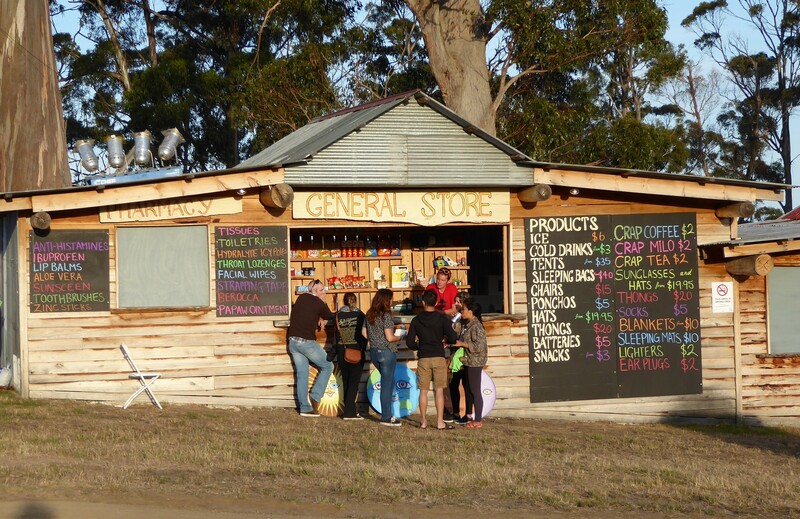 The lure of crap coffee, crap tea and crap milo from the General Store might just tip me over the edge, and the music is always enough to be a drawcard away from that spectacular beach.